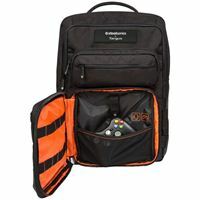 Designed by gamers for gamers. 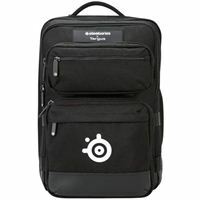 The Targus 17.3 in. 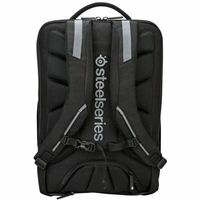 SteelSeries x Targus Gaming Backpack is ideal for enthusiast-class gamers who want superior capacity and protection for their oversize laptop, plus organization solutions for all of their accessories. 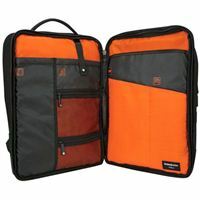 Dedicated pockets and pouches for gaming mat, keyboard, mouse, controllers, headphones, and much more. 13.77" x 21.64" x 12.98"